The Aromet Motor Inn features a range of rooms to suit everyone, from singles to families. 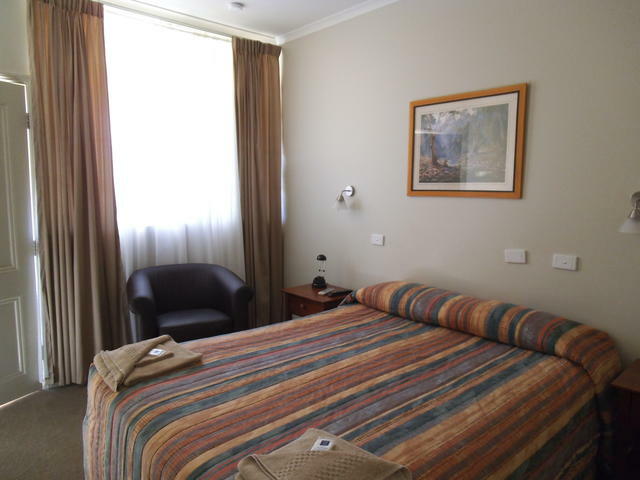 Our double rooms feature a Queens Size bed with bedside chests, clock radio, lounge and coffee table, and a large bench area. The bench features a four-point power point for items such as computers. Your telephone has direct dial facilities and your computer can easily gain access to our Broadband Internet Network. Each sleeping space is provided with a towel, face washer and some special Golden Chain items such as soap, hair shampoo and conditioner, moisturising lotion, shower caps, comb, shoe polishing pad and sewing kit. There’s plenty of hanging space and coat-hangers for those staying for longer periods. 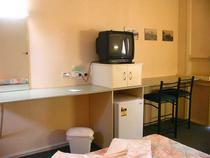 Sit back and enjoy the free-to-air television programs or any of the Austar programs showing in your room. Alternatively, hire a VCR or DVD player from reception and enjoy movies hired from Temora’s video shop while sipping a beer or a wine from our mini-bar. Relax in a comfortable lounge, a glass of wine from the mini-bar on the coffee table, alongside your computer. Your Queen size bed has crisp clean sheets and a soft, warm blanket, a colourful bedspread and extra pillows. Air conditioning as well as heaters (for those cold nights) and a fan (for the not-so-cold nights). Electric blankets for those who like to snuggle down on cooler nights. Every room has a large ceiling fan so you don't have to live in dry air conditioning. Your room also has a screen door with a privacy screen to allow you to leave the door open without prying eyes looking in at you. It’s great to sleep with the room door open and just the screen door closed, allowing the soft summer nights to fold around you. 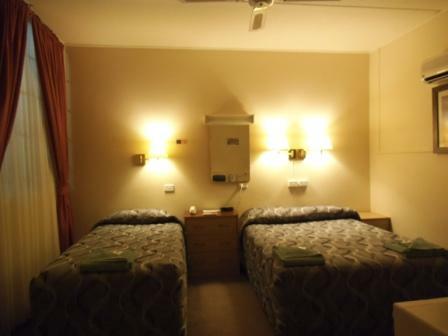 Our twin rooms provide a single bed and a Queen Size double bed or two single beds (one room only). Reverse cycle air conditioning, a ceiling fan and portable heaters help control the environment in your suite, although you may like to bring the outdoors in by closing your privacy screen door and keeping your main door open, allowing fresh air to circulate throughout your suite. Fancy a drink from our mini-bar? Or maybe you’d like to view one of the Austar TV channels or the free-to-air channels. Or maybe you would prefer to hire our VCR or DVD players, hire a movie and watch the movie of your choice? And there's much, much more for the business traveller. This is actually two rooms, joined by an internal door. Each room features a double bed and a single bed, bedside tables, clock radio and telephone. The air conditioning or ceiling fans will provide the comfort you seek in summer or winter. Your suite features a screen door that ensures privacy during the day and at night once lights are turned out. You cannot see through the lockable screen door, allowing you the luxury of feeling the soft summer nights and fresh air wafting through your suite. 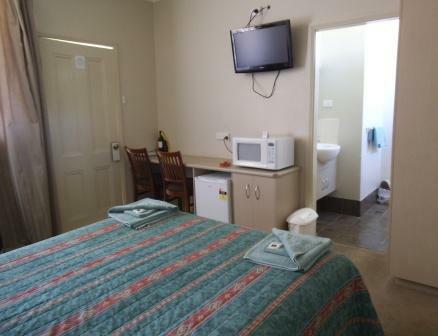 The family can be entertained by free-to-air television or Austar channels in the rooms and you can enjoy a cool drink from our mini-bar. The kids can use your computer for games either on the Internet or hired from the local video shop or you can use your computer to keep abreast of your business activities. Cancellations: Less than 24 hours notice incurs fee of one night's accommodation.